All songs composed, played and produced by Ron Boots expect part of the drums and the FX on track 1. They are partially by Harold v.d. Heijden and Michel van Osenbruggen. 2008. Press Information Petite intro pour ceux qui feuillettent cette rubrique pour la première fois et pour les autres qui foulaient les plaines volcaniques d'Io au cours des dernières années. Ron BOOTS est le responsable d'un des meilleurs albums d'e-music de tous les temps, avec Acoustic Shadows, sorti en 2006 (PR 46). Depuis, je guette chaque album du divin Batave et quelle ne fut pas ma surprise de voir un second CD arriver dans les bacs alors que See Beyond Times… est encore sur ma platine. Mais dans ce cas, surprise égale joie incommensurable puisque ce nouvel opus fait montre une fois de plus du talent exceptionnel de Boots, que ce soit en matière de composition ou de recherche des sonorités. Et maintenant il chante, en plus. Avec un peu de Johnny Cash dans la voix, s'il vous plait! Le tout sur une mélodie vangélienne en diable. Que dire de plus d'un musicien qui ajoute des (ac)cordes à son arc à chaque nouvel album. Qu'il continue à s'excuser, seulement! Il est de toute façon pardonné ! 2010. LouLou / Prog-résiste This release from 2008 features 75 minutes of stately electronic tuneage. Boots plays everything on this release, with the exception of part of the drums and the FX on one track which were supplied by Harold van der Heijden and Michel van Osenbruggen. The voices and choirs on two pieces are from Symphonic Voices and Voices of Passion. Nimble electronics mark this music, etching vibrant melodies from liquid pulsations and squealing tones. Agile percussion provides suitably energetic locomotion. Keyboard riffs flourish and congeal, defining ambitious expressions of passionate sound. Luxurious openings grace each song, unfurling ethereal threads to form pensive inaugurations which gradually amass puissance and vitality, ultimately sliding into grandiose structures of delightful complexity. Levels of fertile emotion are attained, conveying sonorous glory with appealing ease. One track features a synthesized violin dawn that is remarkably pastoral and soothing. A rich, almost regal character dominates the riffs, filling each passage with noble sentiment. Spry arrangements bestow that majesty with lively agitation, flavoring the harmonic sovereignty with a whirling vigor. The percussion is quite bewitching, not just in the animated nature of the rhythms but in the very sounds used to create each beat. Inventive and alluring, the tempos embody a fascinating luster that excellently embellishes the exciting melodies. Conventionally lyrical vocals are featured in one track, expounding deep affection and using roses as an allegorical reference to mean anything the listener might hold close to their heart. The melody is temperate and stately, steeped in a soft reverence. Another track displays a surprising rock influence with chugging basslines, popping rhythms, funky guitar, and rich crooning that achieves a stellar sonority. These compositions possess invigorating qualities. Power is generated through compelling melodies which transmit this psychological stamina. Besides being entertained, the audience is infused with refreshing verve, fortifying all with new resources to face adversity and tribulation, whether they be social, physical or psychic. 2009. Matt Howarth / Sonic Curiosity Dutch musician Ron Boots is back only a few months after his last release with Mea Culpa. The two-part title track is fantastic. The 19-minute first part opens the disc with electronic twitters and deep space sounds, followed by a slowly meandering bass line. Bright sequencing appears a couple minutes into it, joined shortly by a synth lead line and gently shuffling percussion. Drums eventually join in, and then a new synth solo takes over as the drums grow stronger. A key change a minute later cranks it up another notch. A couple minutes more, and the mood calms just a bit before building back up again to the end. I like pretty much everything about this track. The 14-minute "Mea Culpa II" appears later on, and it is every bit as good. The percussion is crisp, reminiscent of Tangerine Dream’s classic "Thru Metamorphic Rocks" from Force Majeure. A steady bass pulse lends a dramatic feel, and the synths are understated but highly effective. It continues to slowly build, all the while staying in a cool groove. This great one-two punch makes up nearly 34 of the album’s 75 minutes. Other strong tracks include the mellow dreamy "08:00 Sunday Morning," which serves as an excellent contrast to "Mea Culpa I". The excellent synth solo here reminds me of vintage Klaus Schulze. Drums and female choirs fill out the sound nicely. Speaking of female choirs, they abound in "Quick Silver," the most energetic track on the disc. Credit is given here to Voices of Passion, a virtual instrument of female vocal samples from five different countries. My only complaint about Boots, one of my favorite EM artists, is his insistence on singing on a track on some of his albums in recent years. To his credit though, this time he offers an instrumental version of "The Roses in My Life" as a bonus track at the end. This is Ron’s best album since Close, but not touching. 2009. Phil Derby / Electroambientspace What a beautiful surprise this last Ron Boots album is. Mea Culpa is a finely accomplished opus. An album rich in sonority and atmosphere which transports us, sometimes in a romantic universe, sometimes in an astonishing musical paradox with random movements sequences, hypersensitive solos, seizing synthesized laments and variegated sound effects which paddle in an environment well beyond the usual cosmic EM. The whole begins with Mea Culpa I and its fine enveloping wave which initiates an epic movement divided into 2 parts. A beautiful morphic and dreamy line which sails among sound wrecks to analog emanations, until a bass undulates slowly the tempo. A twinkling sequence mussels a hypnotic melody of its minimalisms chords. Gradually Mea Culpa I takes form. The sound effects flow and invade this slightly sensual tempo which is dandling in an astral universe. Curiously beautiful and deliciously strange, Mea Culpa I progresses in bizarre sidereal breaths, fill of hardly perceptible raucous voices, among an insisting synth. The progression is astonishing. Long synthesized laments howl in an atmosphere with many multicoloured sonorities, creating an environment out of the common. Cymbals flicker their metal wings, opening the way to percussions which initiate a heavier tempo on a more crystalline sequence. This unexpected rhythmic comes very close to the one on Klaus Schulze’s Body Love. A very good piece which splits its rhythm, visiting softer spheres, others more furious, under minimalism sequences with nervous jolts and solids percussions which push us towards a final with solos as nuanced as the rhythmic evolution of Mea Culpa I. The 2nd part offers a heavier and darker atmospheric intro. Light arpeggios float through a sinuous drone and a slightly fluty mellotron. Sequences with chaotic glares establish a hazy tempo in a hostile cosmic gravity. Less poetic than part I, Mae Culpa II remains attractive with its analog approach and its dark synth which fly through an ambiguous maelstrom, before melting on heavy nevrotic sequences, creating a nervous rhythm girdled of beautiful solos. A rhythm which progresses with additional sequential movements, revolving around a more lyrical and harmonious synth, always keeping an open door on its atmospheric heaviness. Between these 2 parts, we find 08:00 Sunday Morning and his apocalyptic synth which shouts from the rooftops in a universe filled of caustic sound effects. A beautiful title which is dandling on a superbly melodious sequence. A hypnotic melody à la Blade Runner, where celestial voices are encircled by a circular synth, thus reverberating and threatening waves. A strange shuffling piece of music which explodes of good solos and sequences to progressive sonorities, but always melodious. A track rich in atmosphere, as everywhere on Mea Culpa, just like the softly For Does and its violin approach. The Roses in my Life is in two shutters, one with Ron Boots vocal and the other instrumental. A slow piece of music with a hypnotic tempo and sonorities of slamming percussions. The sequence is superb and points out the melodious side of Vangelis. Synth and spectral waves in a grinding atmosphere, The Roses in my Life evolves gently on percussions more and more hammering, adding a bit of sensuality under light hardly audible ``tchick a tchack’’ effects . A musical world to astonishing paradox as we can hear, here and there, on Mea Culpa. Except Quicksilver and its frantic beat. Electronic funk with suggestive vocal samplings full of great aggressive solos. With this 33rd album Ron Boots continues to astonish, to the great pleasure of its many fans as well as EM and contemporary music disciples. Mea Culpa is a superb album where ambient and rhythmic symbiosis is done in an absolute musical charm. Ron Boots offers here 70 minutes of sensitive music, depicting the depth of the Dutch musician. A little treat for the ears. 2009. Sylvain Lupari / Guts Of Darkness Ron Boots, compositor holandés y confundador del sello Groove Unlimited, nos presenta un nuevo disco, segundo de este año 2008. Su música como de costumbre es fascinante, lleno de colorido y de sonidos electrónicos de los que nos gustan a los seguidores de estos estilos musicales. Ron Boots es de esos pocos músicos que tienen la habilidad de no defraudar nunca, cada uno de sus trabajos es una muestra de su buen hacer, de sus ideas musicales, de sus recursos estilísticos, un placer para el oído. "Mea Culpa" que es el título que lleva este disco, es una clara referencia de lo que es capaz de aportar Ron Boots. En el primer tema, cuenta con la colaboración de Harold van der Heijden y de Michel van Osenbruggen, pero este disco, es Ron Boots, su música queda patente en cada una de sus composiciones, con sonidos que en momentos nos recuerdan a la Berlín School, con otros que nos sumergen en el ambient, pero siempre con su toque personal, además, la voz, si, habéis leído bien, la voz de Ron Boots vuelve a aparecer en este trabajo y como siempre de forma magistral, en esta ocasión la encontramos en el tercer corte de este trabajo con un tema que lleva por título "The Roses in my Life". En total, el disco está compuesto por seis temas que nos harán disfrutar de la buena música electrónica. "Mea Culpa" es un trabajo para todos los amantes de la música electrónica, para todos los seguidores de Ron Boots y para todos aquellos que disfruten escuchando buena música, esperemos que Ron siga entonando muchas veces el "Mea Culpa" con trabajos tan fascinantes como este. 2008. 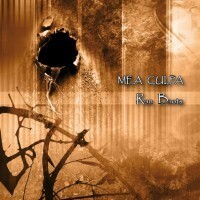 Ultima Fronteira "Mea Culpa" is Ron Boots’ second album this year and comes only a half-year after the wonderful "See Beyond Times - Look Beyond Words". "Mea Culpa" in contemporary words means "whoops, my fault" and is a sort of sorry/excuse. Ron admits, the "Mea Culpa" of this album is to the listeners. This is also the music Ron would like to hear himself. And what is this music? Apart from some collaboration with Harold van der Heijden on drums and Michel van Osenbruggen (also known as Synth.nl) on FX on "Mea Culpa I", this is a pure solo album by Ron. He even sings on the track "The Roses In My Life". He does this with a warm and quiet timbre. This song is a slowly moving rhythmic piece with a great atmosphere. Ron also experiments with a poppy tune in the thrusting "Quick Silver". In this composition we can hear a slightly funky guitar riff. It once again proves the diversity of Ron. The album also hosts his well-known sequencerwork like in the fantastic retro-like openingtrack "Mea Culpa I". "0800 Sunday Morning" (which is a very good time to listen to this kind of music) draws back a little to Ron’s earlier pieces when he recorded his music on CD for the first time, only now with wonderful sampled voices added. He also doesn’t forget his more ambient side on the relaxing "For Does". Again, the rhythm in this piece is great. Well, "See Beyond Times - Look Beyond Words" was one of the most varying albums Ron ever made but this is even more the case with "Mea Culpa". If Ron continues to create such outstanding music, it won’t be a problem if he releases a cd every half year. 2008. Paul Rijkens I've heard dire things about this latest Boots album, with Ron singing and all. Alright, one should never judge a book before actually reading it, and the same also applies to music. So, with some trepidation, I slip this CD into the slot. And I am pleasantly surprised immediately, as cosmic pads fill the space between my ears at the beginning of the 19-minute "Mea Culpa I". Nice twittering effects add to the ethereal atmosphere. Slow bass notes are added and after a while in comes a high register melodic sequence. A wonderful melodic solo appears, very Berlin School. A relaxed drum rhythm appears, as the track chugs along at a comfortable pace. The sequences get more aggressive and asserting while the drum rhythm gets more chaotic. A key change follows, as the excitement rate grows. The sequences then go down the scale as twittering effects return. This is perhaps some of the most straightforward sequencer EM I've heard from Ron. After 12 minutes a complete change follows - new synthesizer sounds are added and the track gets filled to the brim with various resonating, twittering and buzzing effects, without losing its mesmerizing sequencer beat. Great synth melody is a nice extra that makes this track even more emotional and effective. Finally all sounds subside to leave only the sequence slowly fading into the sea of effects. "8:00 Sunday Morning" begins with weird concrete sounds and effects. Soon a reflective synth pad appears. The track remains rather austere and spartan for a couple of seconds, before a slow, marimba-like sequence appears combined with a dirge-like melody. Man, Ron must have had a real hard time getting up that early on Sunday morning! A female voice appears that reminds me on those countless "Mystic Pop" productions (Era, Enigma and so on). Soon a synth solo kicks in, but the track is still imbued with a sense of tragedy stemming from the need to get up at 8:00. :-) Ok, humour aside, the track is fairly moody and nice, with a pleasant groove and some tasty soloing - silky smooth, analogue and warm. The track then gradually comes to a close with the same dirge-like symphonic synths and lots of pads. Nice and unusual. "The Roses In My Life" has a very effective start, with mysterious textures and pads. A slow rhythm appears and then an excellent melodic motif. We then get the promised singing. Surprisingly, I found Ron's deep, baritone voice very pleasant. It doesn't detract from the music, serving as a nice addition. What we get in the end is a nice electronic ballad that reminded me a bit on the Post-Rock scene. There are nice electric pianos, relaxed synths and a rhythm - everything in a Jazzy, dreamy setting. You would think that with singing, Ron's music would turn into mere mainstream, would become more commercial, but thankfully, this is not the case. In fact, this track is one of the least commercial things he did. On the other hand it's quite accessible and relaxing in a good way. What strikes me is: it's better than most vocal Pop produced today. Never thought I would say it but maybe Ron should sing more often? Ok, to be honest, I'd rather that this remains an experiment and a very successful one at that. "Mea Culpa II" begins with really fat pads and a mysterious melody. A rhythm creeps in and a bass pulse develops slowly. A buzzing solo is heard as new sequences are added. Some decidedly TD-like string synth flashes and 'tron noises are heard. Even more sequences are added as the track propels forward at quite a pace. This is quality EM, guys. A solo appears and gets louder and more resonant, before acidy sequences occupy the stereo field. A new, anguished solo appears for the last part of this long composition. Some more melodies manifest themselves before this massive track draws to a close. "For Does" begins with cricket sounds and a Classical sounding string section. Great music for those winter evenings beside the fire, with a cup of hot tea. A slow percussion rhythm appears but the violins are still the main attraction. Another rhythm appears, all in a very chilled / relaxed mode. Not your typical EM stuff for sure but highly enjoyable. Towards the end, more synthetic sounds appear, but the track retains its Classical quality throughout. Finally, "Quick Silver" is unleashed on the unsuspecting listener. In this particular case, that would be me. A rapid rhythm, upbeat sequences and a female voice are interrupted by funky guitar interjections before returning to the initial formula. While I found this track pretty nice, it failed to capture my imagination and I for one would have done without the rather trivial voice samples. Overall, the least interesting track of the lot, despite the enjoyable synth bits and solos. A nice surprise is included with this CD as well, get it and you'll know what it is. "Mea Culpa" is a surprising diversion for Ron that still offers enough material in typical Boots style for the die-hard fans. Best track: "The Roses In My Life", who would have thought? 2008. Artemi Pugachov / Russia A beautiful CD , that arrived on Saturday morning that has helped me get over the passing of my mother on Sunday of this week. Usually I would have been listening to TD but your new CD is absolutely stunning. 2008. Tim Pullen Well wrapped into convincing arrangements and a perfect sonority, Ron Boots offers us a work of an intimate nature, although within his usual style, electronic, rhythmic, and near to Space Music and Synth-Pop. The rhythmic structure of the music is based on the percussion as well as on sequencers. There are passages brimming with energy and optimism. Others are hued with a romanticism at times subtly melancholic. There is also an important presence of melodies often with a transcendental air, or emotional in nature, as if they were narrating thrilling adventures in faraway lands or situations where the warmest emotions flow freely. Alejandro Hinojosa Well what can I say, Ron keeps on surprising all of us, that is for those who like his music and style. All the RB sequencing is present on this one but IMHO it's been since "Tainted bare skin" that he's showing some "emotions" again. Just listen to wonderful "the Roses .." not only for the text but the music behind it, so sublime. And top of the bill to me is offcourse "For Does" but then again I'm a softy. And is very nice of RB to add an instrumental version of "the Roses .." as a bonustrack. 2008. Jeff Wouters / Belgium Superbly composed, realized and spirited by Ron B. This is how I like his music most. Highly recommended for all of you wandering through EM country. You can't blame him he's carrying the torch of Dutch EM right here, right now. 2008. René van der Wouden / NL We begin with the first part of the title track. After a tranquil introduction a skipping sequence comes in. Rhythms gradually build. The development of this track has been so subtle that it has all become quite hypnotic. There is a definite feel of Klaus Schulze to it all. The rhythms depart and the sequence is left in isolation, just various effects spinning around it. The drums do, of course return and we continue on our helter skelter journey. Nearer the end triumphant lead lines make an entrance then the sequences are beefed up even more reaching a final climax just before the end. Initially '08.00 Sunday Morning' is appropriately rather sleepy but then a slow sequence comes in along with female vocal coloring. A gorgeous lead line strikes up completing a truly beautiful picture. What a wonderful track. 'The Roses in my Life' is based around a jaunty body moving rhythm and little melodic flourishes. We then get some spoken text / poetry. Not sure why but I was reminded of Sting! Now I know some people hate any vocals in their EM but I think this worked superbly- liked the words as well. Well done Ron! The second part of the title track A delicate rhythm can be heard low in the mix, surrounded by all manner of twittering effects. A splashing rhythm and bass line augment a rather complex build up as things gradually become more syncopated creating an exciting head of steam. Would be a great track played live! 'Four Does' soothes the senses. Soft strings mix with insect sounds. A shuffling rhythm starts up but really this is a track to lay back and chill out to. 'Quick Silver' puts the foot down on the accelerator once more. A real cool groove is created that should get the whole body moving.. There is some female vocal coloring that I thought worked to start off with but was maybe slightly over done. There is also a seventh track not credited on the back tray artwork which seems to be a vocal less version of 'The Roses in my Life'. DL In contrast to the Kees Aerts release, Ron Boots gives a very comprehensive list of instrumentation on his latest CD, and has always been one for mixing deeper sonic experimentation with the bouncy analog sounds, and more recently with exploiting the possibilities of both hardware and software synths. So here you can try to pick out the sounds of the Prophet 08, Poly Evolver, Alesis Fusion, Roland D50, Moog Voyager, Korg Wavestation and M1, Access Virus, Clavia Nord Lead and Oberheim OB12 keyboards among others, from the software choir Voices of Passion and soft synthesizers by Arturia, East West and Native Instruments. There’s even a bit of vocals delivered by Ron, in a pleasant bass voice reminiscent of Demis Roussos, over a slowly rolling bass sequencer pattern on "The Roses of My Life", while "Mea Culpa 2" counterpoints fizzing analog textures against clattering, filtered drums and a more up-front sequence reminiscent of recent Tangerine Dream. Again it’s an album for fans of analog sound, but there’s quite a lot of sonic experimentation going on too, and some interesting juxtapositions of textures including drums and voices. Deine Musik überrascht mich ja immer wieder. "Mea Culpa" ist ein weiterer Meilenstein - ganz großer Dank dafür!